Proceeds benefit the St. Augustine Youth Services. A CHRISTMAS GIFT THAT LASTS A LIFETIME - Race proceeds help provide normal life experiences to our residential foster kids and those with a mental health diagnosis and non-traditional families, especially during the Holiday season. Let joy, peace, and love ring true for all. 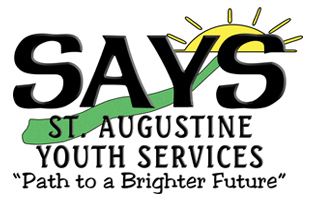 St. Augustine Youth Services shapes the future of Florida's at-risk youth by providing coaching, counseling and care in family style therapeutic group homes and outpatient community services. This is a charitable event benefiting the St. Augustine Youth Services (no refunds). Children in strollers do not have to register. The race follows a flat 3.1 Mile course through St. Augustine Beach neighborhoods and starts and finishes at St. Augustine Beach Pier Park. All turns and miles will be marked and water will be available at mile 2. Choice of Santa Suit or T-Shirt. 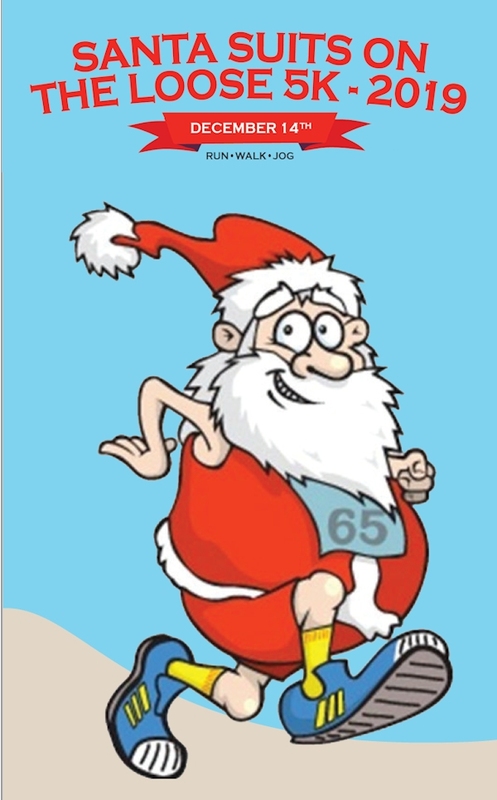 Santa Suit to first 100 registrants. Receive bragging rights and a traveling trophy for registering the most participants!